Bible Reading or Bible Engaging? My own tradition puts a lot of emphasis upon reading the Bible, even reading it each day as a part of morning devotional practice. I heard about Bible reading from as far back as I can remember. I also read the Bible at the breakfast and dinner table with my family. 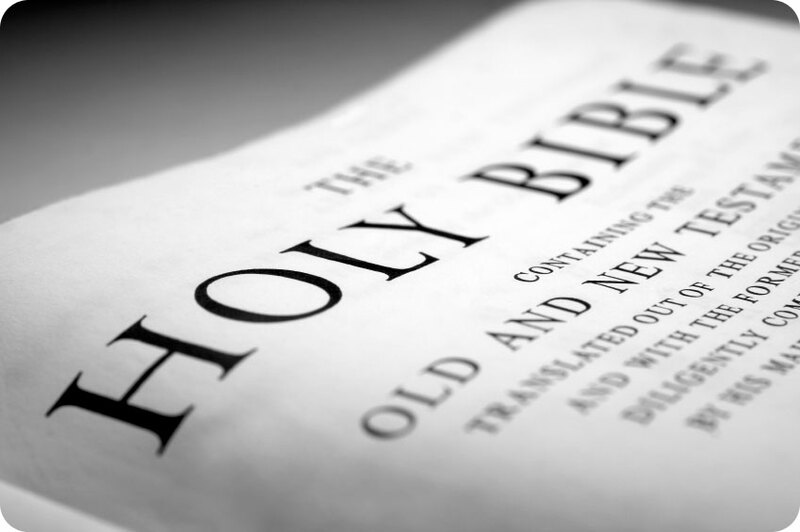 As soon as I was old enough to read the Bible for myself I delighted in reading the text. I was given my first Bible, which I still possess, at age six. My mother’s inscription reminds me of the supreme value that we placed upon Scriptures in our family and church. It is often shocking to people with my background to realize that for centuries, before movable type and the printing press, almost no Christians “read” the Bible. Christians in the early church did not “read” the Bible either. Most of them only “heard” it read and most of the time they only heard the Old Testament until centuries after Pentecost. This is why 1 Timothy 4:13 says: “Until I arrive, give attention to the public reading of scripture (i.e. the Old Testament), to exhorting, to teaching.” A faithful leader in the early church was supposed to read and teach the Scriptures publicly. This was an oral culture and this is how people heard the gospel and learned the faith. Even today the overwhelming majority of Christians in the world hear the Bible in this same way. You will quickly realize this when you minister in some of the places where I have served among non-literate people. At best there is one reader in a village who can read the Bible to others who will gather to hear it read aloud for all. Why do I say this? Because in the West we are undergoing a serious change in how we hear and read the Bible as well. Not only do many of us process the Scripture in wholly new ways but fewer Americans are actually reading the Bible than ever before. Pew Research recently said that 700 Americans per day cease to engage with the reading of the Bible. Think about this data – almost 5,000 people per week drop out on Bible reading. This all raises an important question. Do people who read the Bible actually engage with its message at a deep and transforming level? I believe the answer is quite clearly no but I do not have a large amount of data to back this up, only a lifetime of experience and a lot of anecdotal evidence. Here is another question: Do we produce Bible readers who understand what they are reading and who engage with the central message of the Bible at deepest level of their mind and soul? Somehow the transformative Bible reading experience must be recovered and at the same time we must learn to teach without reading being our only method. And before you assume that only readers can understand the message of the Bible try that idea on people groups in non-literate cultures and you will soon see just how unwise your conclusion really is. Am I suggesting that we discourage reading the Bible? Not at all. I am suggesting that we must uncover whole new ways to engage with the story the Bible reveals so that lives are being transformed by the message of Christ. I am quite convinced that we are not doing this well in the present church context. This is even true where pastors still “preach from the text of the Bible” every week. I find many people listen to sermons and never truly go deep in their walk with Christ. They think they have the message “down pat” and the preaching merely rearranges their bias. Preaching the Bible is clearly not a “silver bullet” as I was taught as a young beginning minister in the 1960s. The sooner that we realize this the better our preaching will become and the more we will seek for new ways to encounter the Word of Christ in the real life of people. We need to engage with Holy Scripture all over again if we are to see deep renewal and reformation today. Thanks Forrest Lee Horn, all insights that line up with my thoughts and experience as well. So right John. Jesus said to make disciples; that is, of nations. That doesn’t imply transforming culture, it expects it. I’m impressed in several Old Testament accounts that in the hearing of the Word of God, the people were moved in their souls and action resulted from it. It was a stirring into action. I have heard several thousand sermons in my lifetime. They rarely engage. It takes intention to engage, and it requires the simple, yet seemingly difficult, understanding of the mandate from Jesus to “to teach them to observe (obey/put into practice?) everything I have shown you”, to lift people from status quo to transformed lives. Thanks for always pointing this out. A layman like me is always encouraged by it. Aaron W Eley liked this on Facebook. I always appreciate your insights and comments. I just wrote my own top ten books that show the beauty of God’s Word. My own approach is a kind of ancient-future approach that the late Robert Webber spoke of that some Evangelicals are looking back to move forward. I find the ancient Christian writers and interpreters of the Bible filled with deeper spiritual meaning than much of the contemporary stuff I read (although I love N. T. Wright’s biblical insights!). My experience is the Bible is not be transforming if for no other reason than it simply is not being hardly read at all!